Am I the only who saw Hamilton running too wide on the last corner on his only fast lap ?? Isn’t it prohibited this weekend? I think, that short-wheelbase much more suitable to Kimi´s driving-style – good work, Kimi! Go, KIMI, fly!! Would be great to repeat the last year achievement. Good luck for tomorrow!!! 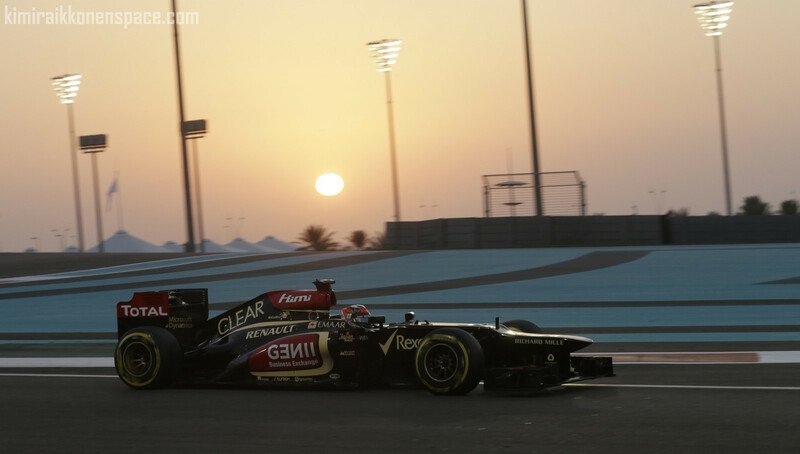 Looks more like Lotus sabotaged Kimi’s race. I doubt they sabotaged him, they need the constructors money. Maybe Lotus is getting reckless in their desperation.